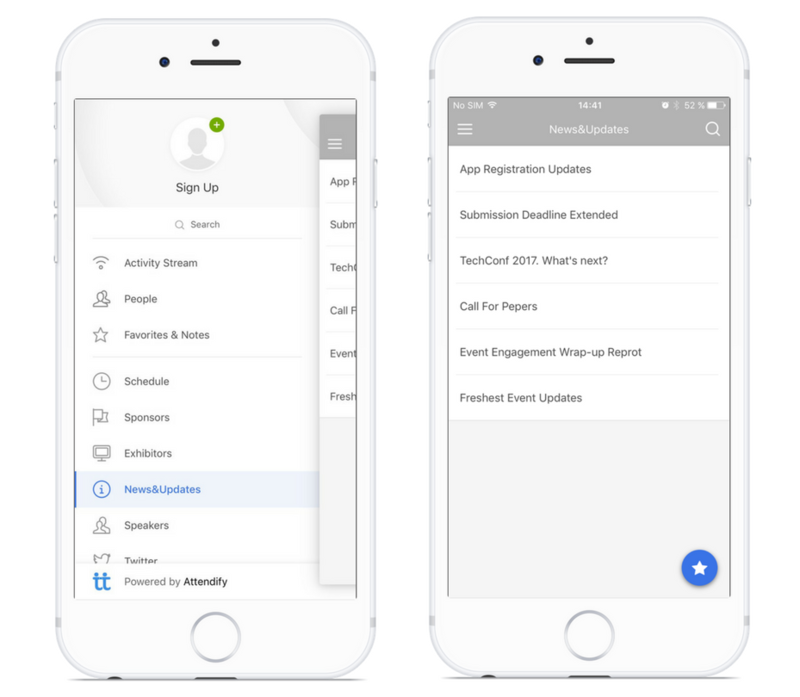 Register a new user profile on the app and name it after your company or event. Use it to post news and updates right to the activity stream. 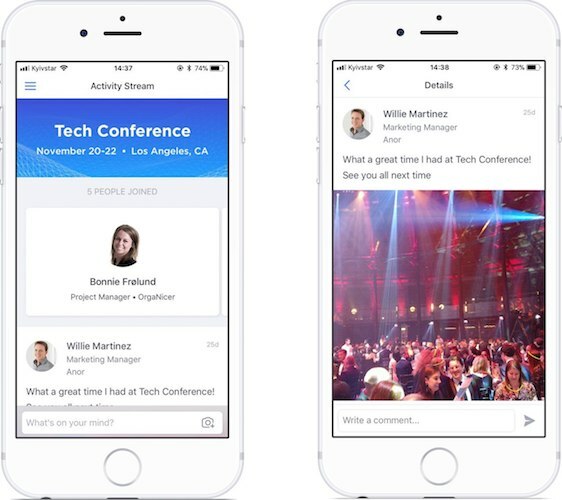 Leverage Sponsored Posts feature to share news with your audience on the activity stream. Embed any online resources right in your app's menu with the help of the WebView feature. 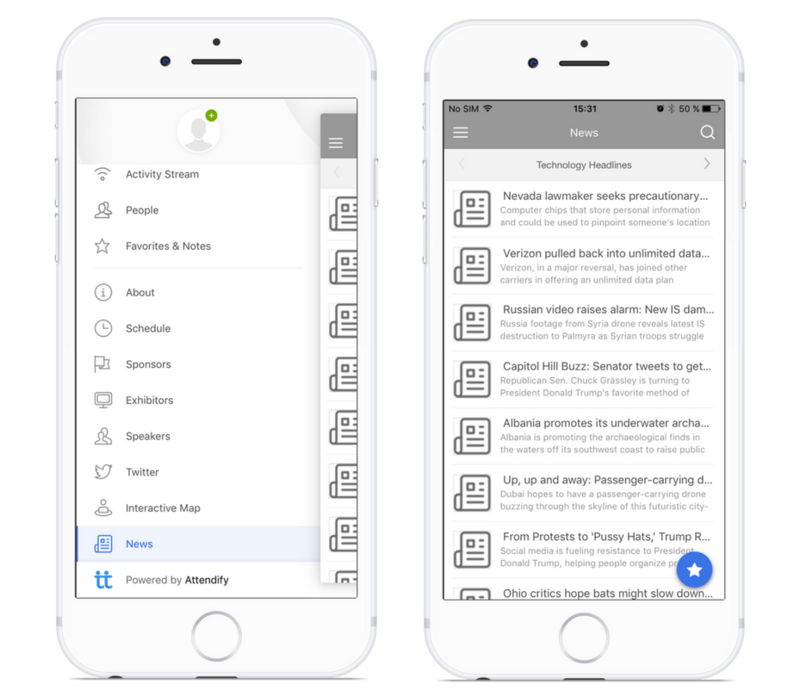 Use the About feature to create stationary news content right in the menu of your app, or utilize the feature Exhibitors in a non-standard way by adding news sections in place of exhibitors. 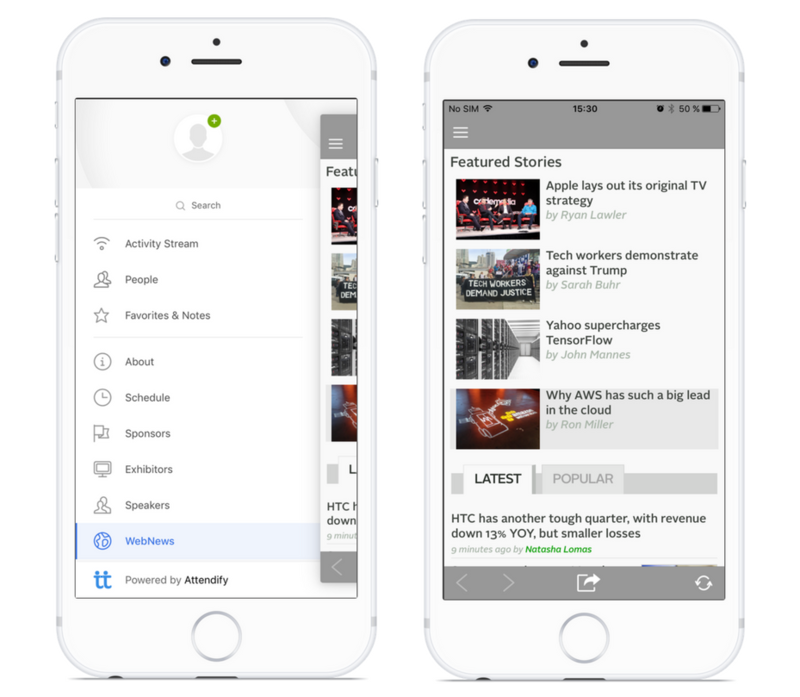 Both features will allow easily adding news and arrange them in a preferred way. Keep your attendees informed by retrieving the freshest content in RSS format from your website or any other web resource using the News feature.